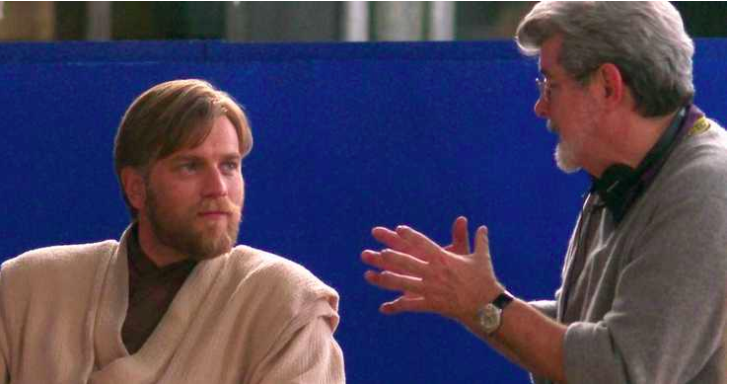 Is Disney Moving Forward With A Ben Kenobi Star Wars Movie Helmed By George Lucas? I love telling people new Star Wars Rumors nearly as much as vegans love telling people how vegan they are! The recent big news is that former foreign secretary Boris Johnson announced during a speech at the DUP conference this weekend that George Lucas is making the Obi-Wan Kenobi movie,and that he will shoot it in Northern Ireland sometime in 2019. Prior to the underwhelming ticket sales of Solo, there were plenty of rumors that Kenobi was scheduled to begin filming in Belfast in 2019. So when Boris Johnson spoke recently, was he still operating off old information and simply nobody on his staff looked at an entertainment news website in the past 12 months? What better “course correction” could there possibly be than having Ewan McGregor return as the title role with Star Wars creator George Lucas also returning (in some capacity) behind the camera. So long as he is not in charge of writing the final screenplay, I am perfectly OK with this. Remember when Lucas claimed his 3rd-grade-reading level dialogue in the prequels was written horribly on purpose? At the end of the day, however, I do not believe Disney has any Star Wars film in some type of hidden ‘double secret probation’ level development. The perfect environment for Disney to announce something this exciting in the Star Wars universe is at the annual Star Wars Celebration, but that isn’t until April 2019. It is simply too hard to keep a high profile project like this in the shadows for long. I think the former foreign secretary was speaking off of expired information. Who knows, maybe he wasn’t even aware that Lucas sold Lucasfilm to Disney in 2012 and just assumed that any new Star Wars project would simply involve its creator. Previous Top Affordable Holiday Gift Ideas For The Geek In Your Life (That They Will Actually Use).